I like the treatment of the armour too. Nice ! One of the best Hero on Griffon I've ever seen. 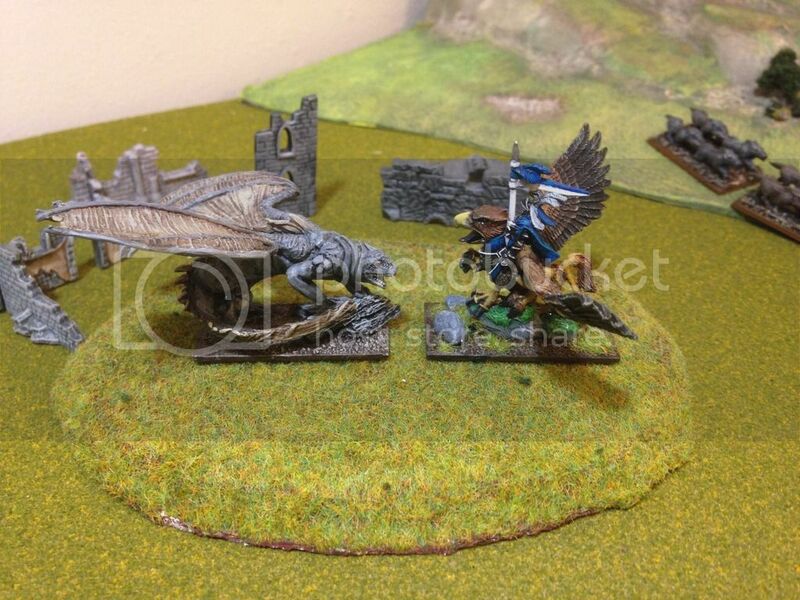 I'm a little jealous that you have a real one - I'm using a Ral Patha griffin and sawing up some guys to make mine! Thanks gents! It was a lot of fun to paint. I think heroes in 10mm have become my favorite thing to paint. They don't take too long, like 28mm heroes, which I could spend days and days on and are often gigantic, and they are individuals, so I can spend a lot of time on them without feeling stressed that I have 29 more just like them to paint as well. Rowlybot: I waited on eBay for a long time to find it. I think I ended up getting it for around 20 with shipping about 5 or 6 months ago. Since then I have seen them go less for that several times since, though not in the last month or two. You could probably still find one before too long! Admittedly I could just pay the near £30 to get a 'proper' one. But I just spent about £85 on 4 units of knights so this month's budget is used hah. It's been ages since I last posted an update. But I have gotten married, moved, and started a new job in the last 4 months! Thankfully in our new place I have a tiny little space to use as my workshop, and I've been able to get a bit done. I finally finished my first 1,000 points for a warmaster army, which I am very excited about. I'm pretty happy with how well my Pendraken spearman match up with my GW halberdiers. The spearman may be every so slightly larger, but it's not really perceptable. Lastly I started my first unit of a new army, a hero for Chaos. This is one of Yann's sculpts. The only problem I have, is that the rider is very small compared to my GW units. I may just not use him, because he doesn't look very formitable as an Lord of Chaos. He would be great with BoFA stuff though. Tiberius, congrats on everything that has transpired over 2016 for you. Hope you can find some opponents and play a ton of games with that Empire army! Yes congratulations, 2016 sees like a good year! Great army. 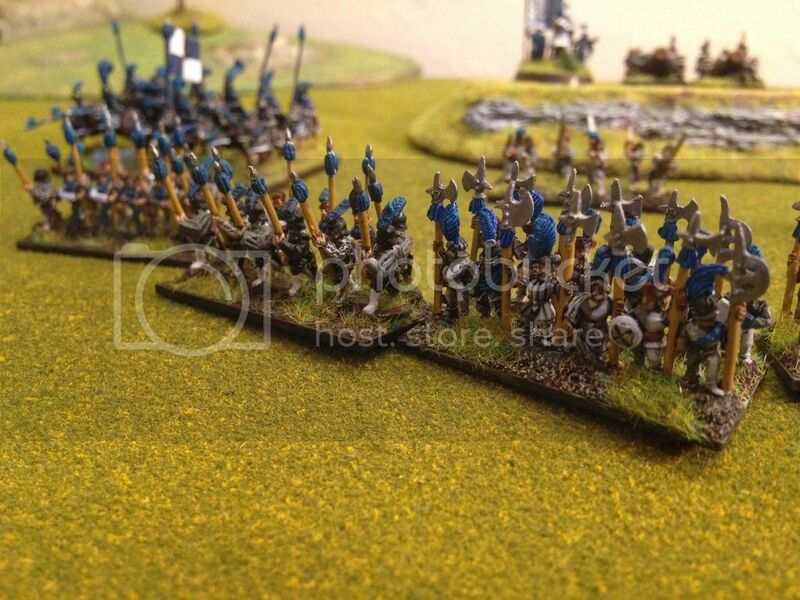 I particularly like your flagellents and spearmen - the size difference isn't noticeable at all. The chaos dragon has a thuggish, brutal look about it. 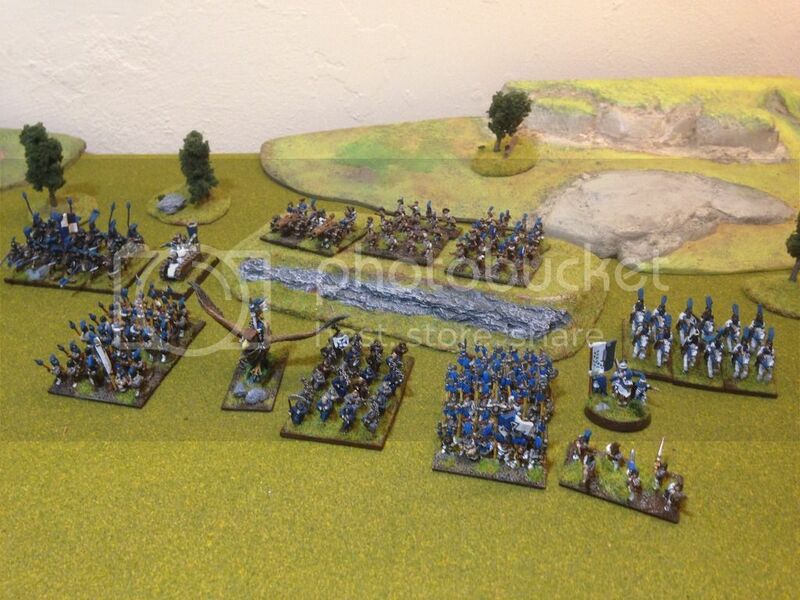 Very lovely looking army, all the different units look like they work together very well regardless of manufacturer. In regards to the diminutive Chaos Lord....... perhaps he's a Halfling Chaos Lord? Or a particularly evil child (a bit like the drug running kid in Robocop 2) Chaos Lord? With Chaos I guess you could get away with anything! Great painting on the beast. It has been a very long time. After being distracted by Star Wars Armada, and then 40k, I finally started some Warmster hobbying again. I've posted some to Facebook, but thought I should share it will my old friends here. My most recent empire project was making a Warmaster size ship. This happened for 2 reasons. 1: I bought an old copy of The General's Compendium (which is just a fantastic book). And their warhammer ships inspired me. 2. I had an old Uncharted Seas ship that I found for 1 dollar, and I thought it could possibly be converted. Touch ups, crew and rigging to come.